2018 Mexican Grand Prix: Verstappen dominates, Hamilton wins 2018 title! Red Bull's Max Verstappen raced to victory at the 2018 Mexican Grand Prix. Verstappen dominated throughout the race to grab his fifth race victory, this despite never starting a race in pole position. The Ferrari duo of Sebastian Vettel and Kimi Raikkonen finished in second and third place. Mercedes' Lewis Hamilton finished in fourth place but grabbed his fifth Drivers' title. 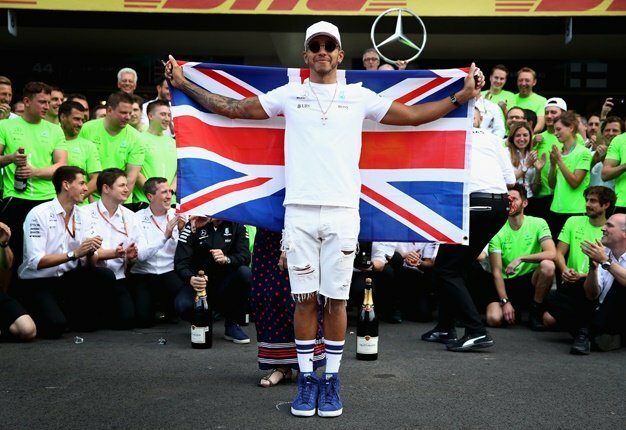 Hamilton became only the third Formula 1 driver in history to capture a fifth world title. The 33-year-old drew level with Argentine Juan Manuel Fangio with only seven-time champion Michael Schumacher ahead of them in the record books. He was adding the 2018 crown to his championship wins in 2008, 2014, 2015 and 2017. WHAT A RACE!!!!! WHAT A RESULT!!!!! WHAT A CHAMPION!!!! !